Clear your mind they sang, and the rest will follow. I “may” have misquoted that song title but it was on purpose. The New Year is well underway, so it’s time to clear your mind from the previous year! If you’ve managed to let go of all the stuff from 2017 already then you won’t need to clear your mind. Now that we’re into the second working week of a whole near year (or blank book!) it’s time to really reflect on what 2017 taught us & start building a bridge to get over that & achieving what we need for 2018. How often do we carry around the baggage from the past? That question reminds me of this song from the fabulous Stevie Nicks, Stop Draggin’ My Heart Around. What other “baggage” are you carrying around from 2017? Guilt? Regret? Anger? There are bound to be things that you’ve just not dealt that is holding you back. The year is young. In baby terms, it’s still depending on you to do something with it. It won’t get its legs until Imbolc (which is only 3 weeks away!) but you kinda need to know what it is you want to spring clean well before then so that you can start doing it when the time is right. 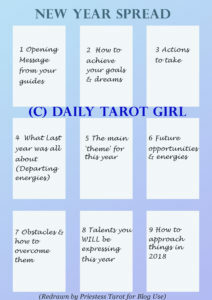 I found this spread from Daily Tarot Girl & I wanted to share it with you. I also wanted to share a little meme with you that I’ve seen a few times over the last few weeks. Anyone would think that all we needed was cake! 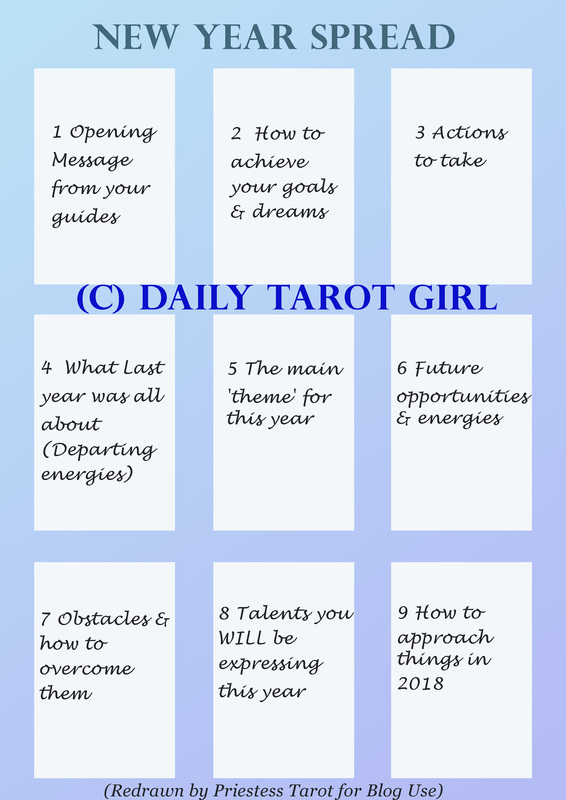 I offered another spread last week, but this week, it’s time to do a braindump, especially with Card 4; you can do that without a Tarot card, or it can prompt you. Totally up to you! For the purpose of this blog post, I’m going to be concentrating on Position 4; what 2017 was all about & what it means. 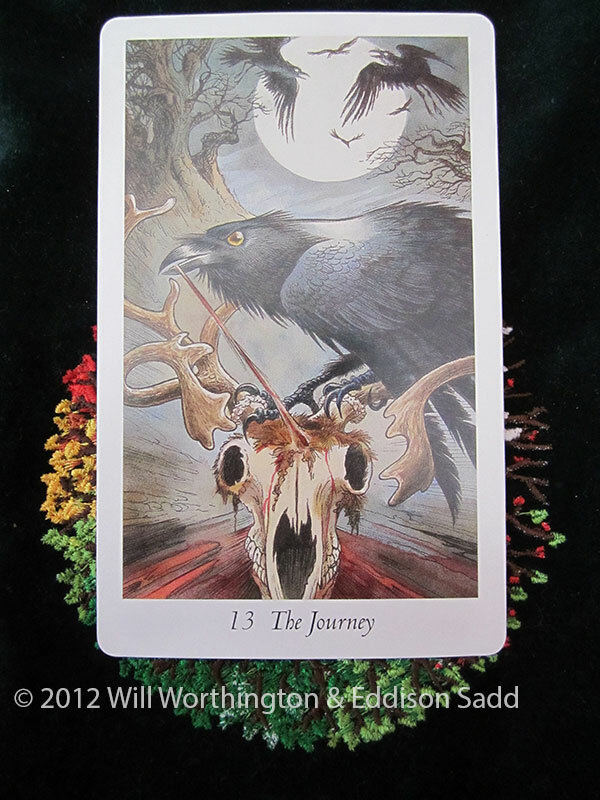 The card I drew for this, was Major 13, The Journey (or Death). So, what was last year all about? 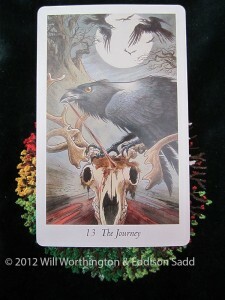 It was, according to the cards, showing me what needs to die to make room for new. Old relationships fall into that category. So does old jobs, dead ideas, ideas you’ve not followed through on, things that didn’t work (when maybe they should have). It’s about taking the chances that you could when they were available. They’re gone now, if you didn’t learn “carpe diem” in 2017, you may not in 2018. Last year was a year to clear out the rubbish. This year is all about Justice, you & what you want to do going forward. We’re entering a Justice year. So, finish clearing out your 2017, let the binmen take your old life & throw it on the compost heap. Recycle or donate what you don’t need but is still good for someone else. They say it takes a year to empty a closet (or wardrobe) of what doesn’t serve you. I didn’t do that in 2017, I didn’t make the time to do it. I do need to do it in 2018 because this year is MY year. 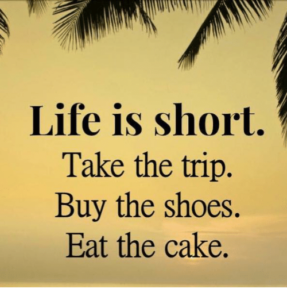 It’s my turn to clear my head & clearing out the spare stuff I have, but do not wear, is good for the soul! I get that you’ve things you’d rather be doing elsewhere. 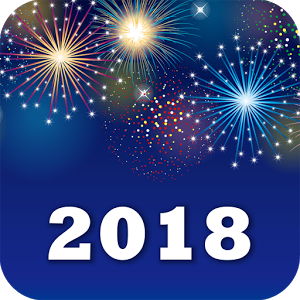 Here’s the thing; spend a little time (like I shall be doing) to clear your stuff out so that you can embrace 2018. My desk will be the starting point. I’m too ashamed to even SHARE an image of what it looks like with you now. When I’ve cleared it, I shall. Maybe. In the meantime, if you want me to do this spread for you, or any other I’ve ever listed on my site, let me know. Email, Skype & FB sessions are bookable right here. Let’s rock 2018, shall we?